Service providers frequently miss calls from potential clients & spend hours sending reminder & follow up emails amid juggling activities to grow their business. Our online appointment scheduling solution is like a shopping cart for services. We eliminate the missed calls and no-show problems by allowing clients to manage their own appointments. 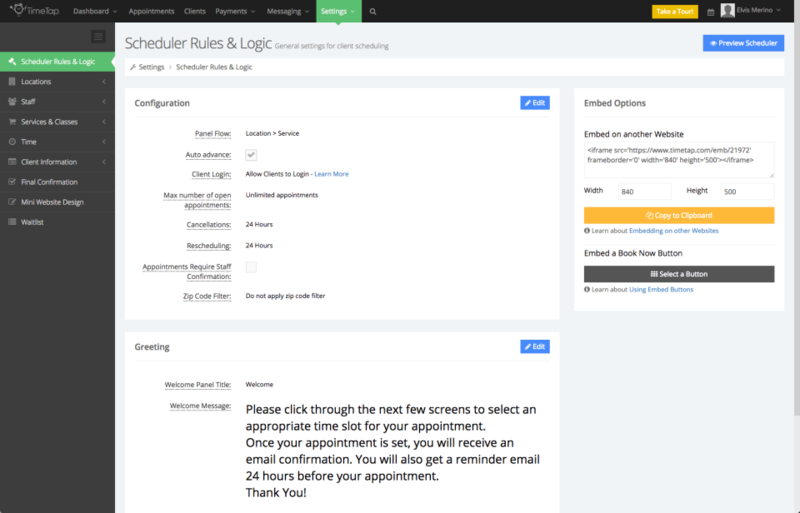 Businesses can embed a scheduler on their website and customize email notifications to go out automatically. 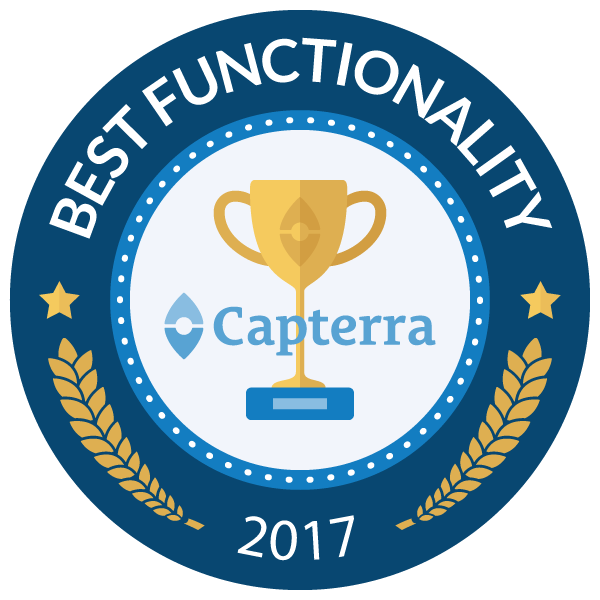 A+ software that's infinitely customizable with top-notch support from an ethical, big-hearted team. Pros: As a non-profit that provides free, longterm support to those healing from opioid addiction, we had very specific time management needs for our volunteer "Listeners" to schedule meetings with people healing from an addiction crisis. Listeners will be meeting with program participants in public locations like libraries and coffee-shops in multiple cities, and each volunteer has to set and manage their own availability. It was also important to us to be able to craft the public-facing messaging in a way that was both clear and non-shaming, and that software that was built for staff-client relationships didn't make our program participants feel like patients in the medical system. We thought this would be an impossible task, but TimeTap not only figured it out, they made it feel easy. I am still amazed by how quickly and effectively they helped us integrate our needs into an effective, working service. The software has been built in such a way that every facet of interactions between users in your scheduling system can be customized and optimized. There were a number of functionalities I didn't anticipate needing, and aspects of the work process I didn't think about customizing until we actually saw it in action. TimeTap support was there every step of the way to help us figure out how to tweak, adjust and clarify. Cons: The only downside I've experienced (as a non-technical person) with this software is that it can be hard to understand the logic of different settings and where specific gears are located on the back-end. I think, however, that this is just a necessary symptom of highly customizable software. TimeTap manages this incredibly well, in my opinion, by having an incredibly rich (and search sensitive) library of user documentation -- including screen-capture videos that show you step-by-step how to find what you're looking for. Their support team is also very responsive and friendly and I've never had trouble getting in touch with them on short notice for both quick and complicated questions. Overall: Because of this software, we are able to execute the vision of our social enterprise to fight the opioid crisis without the prohibitively costly overhead associated with having human schedulers & administrators. We would have had to raise a much higher fundraising target in order to be able to run operations if it weren't for the flexibility and ease of use we found in TimeTap. Thanks so much, Jennifer, for the kind and thoughtful review! It's been a pleasure helping you and the SeekHealing team -- you all are making a big difference in the world! Comments: I can't say enough about TimeTap and their staff. I have been researching and trying out scheduling programs for two years, and TT is the ONLY company that can do everything I need for my business. I have been with TT for a while now, and the growth of their product is mind-blowing! I have never worked with a company that has put so much heart and hard work into their product. Their tech support is unprecedented. You simply can't go wrong if you chose TimeTap for your business. WAITLIST: You want to build your business and keep your numbers up? Then there is no other company that has the Waitlist functionality that TT does. This was the number one thing I was looking for, and I have tried all the competitors - TT blows them away. I have a full schedule, but about 20% of my weekly bookings cancel. With the Waitlist, however, I am able to rebook all of those sessions without lifting a finger. That's a 20% increase in revenue, and it's all because of TT! Plus, my clients love the easy-to-use waitlist texts. CUSTOMIZATION: You can change just about anything in TT (outgoing emails, registery, texts, calendar view, notifications, colors, etc) and make it your own. I can't think of any business that wouldn't be able to make TT work for them. AMAZING TECH SUPPORT: Simply put, TT has the best tech support I have ever working with in my entire life, with any product, hands down. Within minutes, they address your concern. They fix problems in days, not months. They actually listen to your suggestions and implement them. I can't stress enough, how absolutely unheard of this is. THE KITCHEN SINK: TT has everything, and they keep adding more tools every day. Their growth in functionality is simply mind-boggling. If it's not a part of TT now, it will be soon. EASE OF USE: Once you get the hang of it, and it's all set up, it basically runs itself. TT has cut hours of work out of my week. It allows me to keep up with scheduling and billing, keeping records of everything. I can see if clients have opened their emails - no more, "I didn't get that. Also, easy to use interface for my clients, weather they're 16 or 80. Little hiccups here and there, but to be expected with such huge program. TIP: when starting up your account, use the tech support. There were several things I thought weren't possible with TT, but their tech support showed me the way. Wow! Thanks so much for taking the time to leave this detailed and eloquent review. We appreciate YOU with your feedback and helping us improve (and staying on top of us :). Great suggestions for other users who read your review as well --Yes, use our tech support to get onboarding help! Thanks again for taking the time to submit this. Amazing support & customer service! Makes using and building out our appointment scheduler easy. Pros: The new interface (timetap) is more intuitive and user friendly. Amazing and responsive tech support and customer service! All of the support staff have been fantastic and extremely responsive. A big shout out to Lucy, who has been a support star, from the onboarding process to 2+ years of regular support. She's conducted countless calls with me to provide how-tos, recommendations to best structure our site, and addressed functionality enhancement requests and technical issues. I can't express how grateful I am for this type of support! Cons: Not all features are intuitive; there is a learning curve to understand and administer the service/software. Overall: The software has allowed us to move toward online registration for the majority of our classes, which is still a work-in-progress (2+ years since we started) . The support from the staff (Lucy, Elvis, etc.) has been phenomenal. They've taught me a great deal about how to structure our online registration and utilize the feature to support our needs. I work for a large organization, made up of a diverse group of programs that almost function independently. From a support perspective, my experience has been phenomenal. Lucy has been instrumental in teaching me the software, helping use set up our registration site, transition from checkappointments to timetap, as well as take back functionality requests and address our technical issues. Thanks so much for leaving a review for us! It's been great getting to know you and learning more about the support services offered to our armed services over the past couple of years. I'm glad it has allowed the registration process to move more smoothly for you guys! Pros: For our purposes of allowing students to make tutoring appointments, Time Tap has been invaluable. Our students can make appointments any time of day, so the convenience for them has made our service more accesible and utilized. 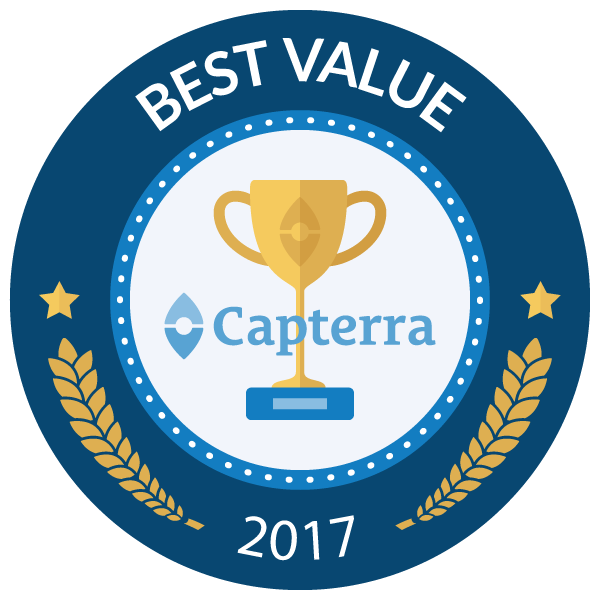 Also, the cost for us is minimal compared to how much it has helped our students accomplish their goal of learning English faster than without it, and compared to other similar products that are structured specifically for a tutoring center. Cons: The only con I would say for us is that the basic level of use only allows 10 users at a time. As a university, we are limited tohow much we can spend on an outside appointment program, so we make due with the basic level. Overall: We use Time Tap for our international students to make appointments at our Center. It has been a successful addition to our program and our student's success. We really appreciate you taking the time to leave us a review on here! It's awesome to hear that TimeTap's been helpful with making your tutoring appointments at a good value! Pros: I love that it seems to understand and anticipate all the functionality I need (before I knew I needed it!). And that can be more and more complex as I offer a wider range of products, services and programs. It's a powerful program yet not so complex that we need deep expertise in programming to design the communications, notifications and interface the way we want. And the customer support I've received from my onboarding supporter Cust support rep has been truly fantastic! So quick, thorough and clear. That type of excellent support and follow-up speaks volumes to me about this program. Cons: I'd say that due to how robust this program is, it's critical to get onboarding help when you're first starting out with it, and not try to accomplish all your essential tasks without that added support. Thank you so much for the kind words! Glad to hear you feel well-supported while you navigate all of TimeTap¿s tools to make your business run smoothly. As always, we¿re here if you need us and do appreciate the feedback, truly shows we¿re going in the right direction. Pros: Being able to copy and paste my personalized Time Tap Link into emails, helps my clients schedule meetings. This saves all the back and forth emails, "does this time work?" Time Tap is much more productive. I have embedded the Time Tap scheduler on my website and on specific landing pages. What a great tool to convert visitors into clients. They can take action and be in control of their schedule. I get to speak with potential clients in a planned way, allowing me to be more productive. Cons: It took me a while to learn how to navigate the different screens. I have a system in place now that works well for me, but I am not sure it is the most efficient way to use the software. Overall: I am more productive using Time Tap. I set the times I am available; the types of interactions clients may choose from and then give them control of when they set up our sessions. This frees me to work on other projects, knowing that my clients have a clean, professional looking way to schedule time with me. Thank you Joel for your feedback. We're pleased to learn the system has been working so smoothly for you. Pros: I am "older" and love how easy to use this software is. If I can't figure something out on my own, the online support team gets back to me very quickly with efficient and helpful advice. I also love the ability to customize, color code and have email reminders sent to my patients. Cons: I was nervous when they re-branded from checkappointments.com (very nervous) but the transition was great. I literally, have zero complaints about TimeTap. Overall: I recommend this to everyone who asks me what type of scheduling software I use... literally.... everyone! My experience has been above and beyond what I could have asked for or envisioned for myself! Pros: The flexibility to create multiple locations and schedules to optimize scheduling for my various appointments available. 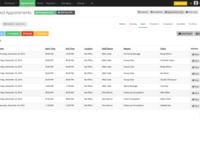 No other software currently allows the level of customization that TimeTap gives it's clients. Cons: I don't like when the PayPal andTimeTap interface sometimes errors when directing to the payment portal. I also wish TimeTap had a function where you can invoice for the deposit to be paid online by the patient when I have to schedule appointments manually and unable to collect payment at that time. Overall: Overall, I like TimeTap and have had a good experience overall. I hope they continue to grow and add new functions to further streamline business operations for their clients. Thanks for taking the time to leave us this review. I'm glad that you've been able to take advantage of TimeTap's versatile customization options when it comes to locations and schedules. I'm sorry to hear that PayPal has been erroring out for you sometimes -- please write to us at support@timetap.com with details on what errors you've been seeing and we'd be happy to report that to our development team. Also, we have a ticket on implementing the pay deposit amount on invoice and I've added your information to that ticket so that when that gets developed we can notify you. Excellent system for time management. Pros: This system is so user friendly. Our employees are able to schedule there own appointments with very little difficulty. I love that it sends the confirmation emails and it reminds them either via email or text of their reminder so we have less no shows in our calendar. It has allowed us to manage our time more accurately and run reports for statistical purposes. Cons: Everything is right for our business, we would highly recommend this to others. Overall: From the moment we signed up this product and its service team have been great to work with. I love this company! I have used them for the past 5 years and have had an amazing experience! Pros: I love that my clients are able to go directly to a site and book an appointment without having to include me in the process. This really helps to cut down on scheduling times and issues. On a side note the staff there is amazing and always a pleasure to deal with. One of the Representative specifically has helped me numerous times with any questions or concerns i have had over the years and she has been great! Super friendly and knowledgeable. This also goes for few more representatives! All great! Cons: Nothing that I can think of! Cons: Customer problems setting up appointments- not consistently letting a customer know they have NOT REGISTERED fully, also same situation sometimes sends the fitter an email, sometimes blocks off the time even though not registered properly. Setting up fitter availability is too complicated- needs to be a calendar that is not open until the fitter goes on a calendar and opens up times- our schedules are not consistent due to staffing and outside commitments. Customers need to have a way to leave the fitter a note about questions or to have the fitter call to talk more about options (ie- I currently do not have a bike, but want to get more info to choose the most appropriate sized bike.) Does not tell customer what to bring to fitting. Not easy to follow up with customer without doing some digging on the timetap website to change an appointment, especially if customer puts in wrong phone number, no email, wrong address etc. Overall: I don't feel having customers schedule a time to have a very personal service like Bike Fitting works with this application. Getting your bike tuned up makes more sense. Imagine trying to schedule a doctor appointment with a sore arm. Without some questions it could be a pulled muscle or bruise... or a heart attack. This assumes the customer knows what service will suit their needs. Often the customer chooses the least expensive option. So sorry to read about the issues you experienced here trying to get TimeTap set up for Freewheel. We did just release some updates to how fitters can add their availability this past weekend which may change/improve some of the issues you were explaining here. I'd love to show these to you if there is a time in the coming weeks we can get on the phone together. You can book a support call with me at https://www.timetap.com/online-support-call.html and we can look at some of these items. I know one of the big requests we've gotten from businesses like yours is to allow add ons to appointments which is something we are working on for 2019. We can discuss some of the enhancements you might like as well on the support call. Pros: The best thing about Timetap is its integration with my Google Calendar,letting me synchronize all my appointments together. It has an auto reminder feature,which sends reminder notifications to myself and every party I have got an appointment with,thereby reducing the tendency for one of us to forget there is an outstanding appointment. Cons: Not the easiest of tools to setup.However the support team more than makes up for this setback by offering me an helping hand while setting up Timetap. 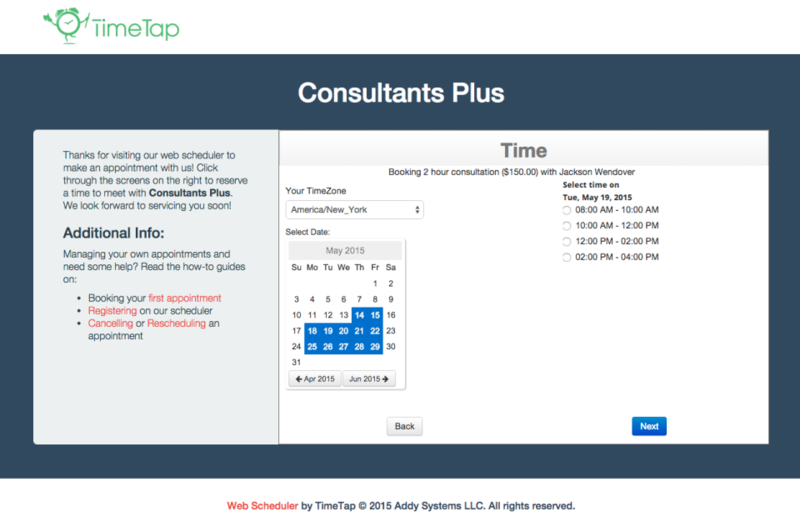 Overall: I use Timetap to schedule appointments,thereby saving me time. So glad you have had a positive experience with TimeTap! If you have any feedback for us on how we could make it easier to set up, please let us know at support@timetap.com -- we'd love to make any improvements you suggest! 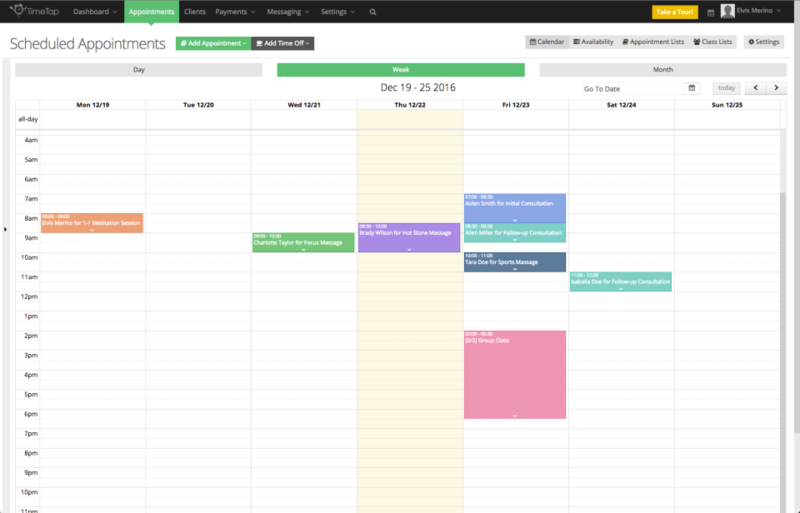 Really happy that we have made it easier to manage your schedule with the calendar sync! Please let us know if there is anything we can do to improve your experience further. Comments: I have tried a number of schedulers and TimeTap is by far the best. Theoretically all schedulers do pretty much the same thing ' allow clients to book appointments on line and allow you to manage your appointments. However, TimeTap seems to achieve this so much more efficiently than some of the other schedulers I have used. The interface is simple, nice looking and very easy to navigate. 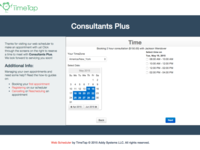 All my patients have commented favourably on how much easier it is to book and manage their own appointments with Timetap when compared to the previous scheduler I was using. The automated emails are concise and polite with clear instructions on how clients can reschedule or cancel which means that I am no longer bombarded with phone calls from frustrated clients who are finding it difficult to book / change appointments. The programme also offers a simple app to let me manage my appointments on the go. Furthermore, the customer service is fantastic. Firstly and fabulously, if you have an issue, you get to communicate with a live person (in my case the lovely and incredibly helpful and patient Lucy), rather than being referred to useless forums, FAQ's etc. My currency and country were not listed ' resolved within an hour. Wanted to import my client base and allocate passwords'.They did it for me which saved me a day of data entry. Even the smallest and most mundane of my queries were given time and attention and followed up afterwards. I am a bit of a perfectionist with a very busy schedule and very high expectations ' TimeTap has exceeded all of them. A really great programme with customer support to match!!! Thanks so much for taking the time to give us this review! It's been such a pleasure working with you and we really appreciate your feedback! Let us know if there's ever anything else we can do. Pros: the company which work for purchased timetap to easily recontact our study participants which we kept losing. what i like about the app is the easy use for both myself as an operator and for the end client, the customer support are very quick to respond to questions and is friendly as well. Cons: to be honest i haven't encountered major problems while using this app except one time where i got a notification sms for a client booking but i couldn't see it in the screen. i have contacted the customer service and they were very quick to act and solve the issue. Thanks so much for leaving us this positive feedback! We're glad that your experience on TimeTap has been positive on the whole so far and we hope to keep it that way! Reach out to our support team at support@timetap.com if there is ever anything we can do to help! Happy holidays and best to you in the New Year! Pros: I have a tiny practice and was trying to get away from burdensome EMR. I needed an affordable scheduling app/program only. It was very quick to learn. It serves our needs fairly well. There are things I have not explored so I can't offer much more. The version for my iPhone is very handy and quick to access also. Cons: We often have to refresh the screen because it will be black when we log on at first. This is not every time and not even most of the time, but it is frequent. After refreshing 1-5 times the appropriate screen shows up. The messaging features to clients are limited with the regular advertised price. This affects us a little but can't afford to add features. Would probably just pull back to Office Calendar if the price started climbing. For the current price point I benefit from TimeTap and I plan to stay with them. Overall: Overall very satisfied. I am using the program to keep up with the schedule for a small primary care medical practive (one provider). Thanks for taking the time to leave us a review. 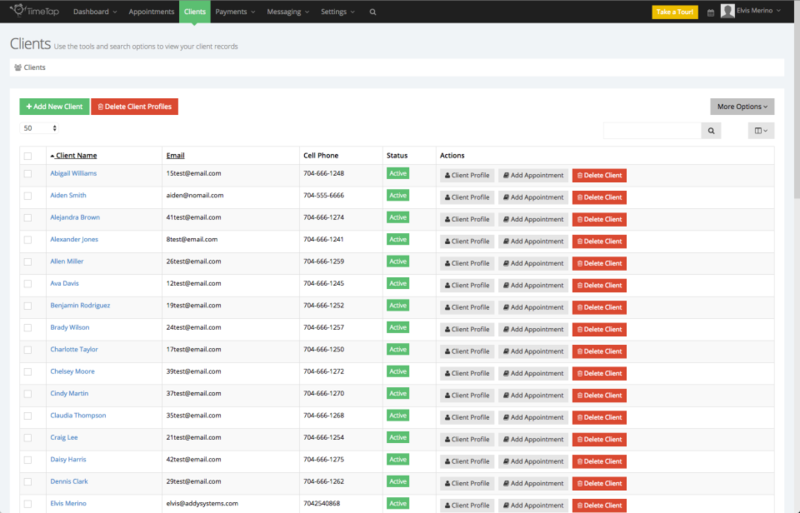 Please reach out to us at support@timetap.com to ask about our bulk emailing to client options. This is a feature we have available but only turn on when accounts request it to prevent abuse and spam complaints. Cons: Some of the email templates were a little confusing to me at first. It took time to figure out where the templates pulled information from to understand where to update things. Overall: My team needed a tool to track registration numbers for a couple global events we were hosting for our company (72,000+ employees). We used WebEx to host the online event, however we found the registration tool in WebEx was lacking and didn't fit our needs. 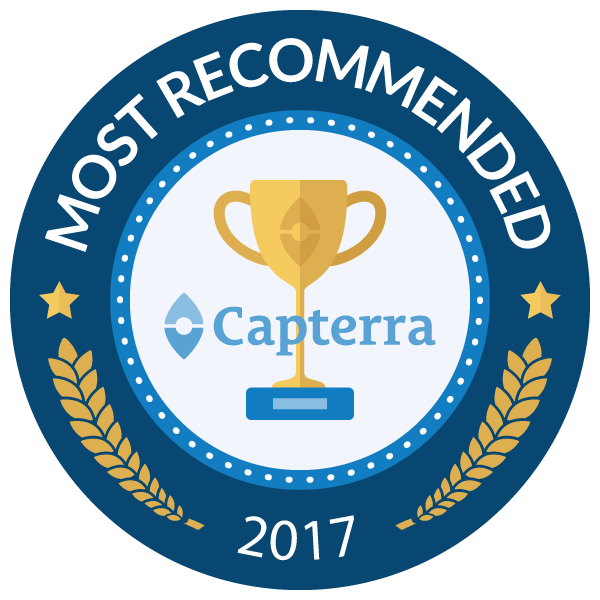 Another team at our firm recommended TimeTap so we checked it out and were thrilled with the tool. TimeTap is generous to offer very robust trial offers, which unlike many other online tool trials, offered us the "full" package so we could really get a good feel for the tool and it's offerings. The tool itself is very easy to use, and very intuitive, but because I needed some pretty specific customization to reflect my company's branding, I needed support. First, as soon as you register for a TimeTap account, you are immediately welcomed to TimeTap by a TimeTap support representative via the online chat bubble. So you immediately have support ready and waiting for you. After playing around in the site, I wanted to get serious about setting up my registrations, so made an appointment for a custom support session. Elvis Merino was my TimeTap support contact and he was awesome! Through our screen sharing session, he went into my account and helped me quickly set up all the options I needed. He was patient and knowledgeable and took his time with me. After our session, I had additional questions for Elvis, so contacted him directly through email with my questions at the end of my work day. By the next morning, Elvis had already responded and provided the guidance I needed. During that day, I had what I thought was a "silly" quick question, so I used the "chat bubble" for my question, and Elvis was there, helping me on the fly instantly. I love this tool and our team will be purchasing a permanent business license once our trial is over so we can use it for other events hosted by our team. The price is very reasonable and the support is awesome. Recommendations to other buyers: Love it! Looking forward to my next event! Thank you, Sue, for taking the time to leave awesome review! It has been a pleasure helping you setup your account they way you want it. Best., Elvis. Pros: Customer service is amazing. There are some days where it may take a bit for them to respond, but they always have detailed answers and will let you know if they are working on a feature you asked about or may suggest it to their programmers to work on. They have very detailed help documents. Cons: It takes a little bit to navigate around and figure out how to use everything. Overall: This has saved so much time automating everything. Once you have figured out how to work everything it is quick to put the information in that you need for each appointment. Thank you for leaving us this great review! We definitely understand that there is a bit of a learning curve to using the software, but I'm glad that you were able to use our support team as a resource to get up and running! It's also so great to hear that TimeTap has been able to save you time through automations! Music to our ears! Pros: I like that once a patient schedules, they get reminders sent to them automatically. Cons: Patients trying to schedule on a mobile phone have a difficult time. I get many complaints from patients that they can't reschedule or see everything they need to see on a mobile phone. It is because TimeTap needs to create a more mobile friendly version of the scheduler or create an app for patients/clients to use. Overall: It has worked mostly well, but a few glitches. Thanks so much for taking the time to leave us this review. We are working on a huge update to the scheduler which we hope to have out in Q1 of this year. Hopefully that can help make your experience a 10 out of 10! Pros: Keeping track of each wedding as it progresses from beginning to end. Cons: When a client "books" a wedding date, I don't know whether they have paid the downpayment yet or not. I have to close TimeTap and go look at PayPal to check on it. This is not really a big deal. I can work around it. Overall: When a potential client books a wedding online through TimeTap, I receive all the vital pieces of contact information and can follow through with the couple right away. Thanks, Frankee, for taking the time to leave us this review! Really appreciate it! We do record whether or not a payment has been submitted through PayPal on the invoice that is assigned to the client within TimeTap so you can always go look at the TimeTap invoice instead of logging into PayPal to see if the payment was submitted. If you're not sure how to do this, reach out to our support team at support@timetap.com and we'd be happy to show you how. We also have a method of making it so that you don't get the confirmation email that someone has booked an appointment until after they've submitted payment through PayPal so that way you can be sure if you're receiving confirmation of an appointment, that appointment has been paid for. Hopefully we can get this figured out for you so you don't continue to have to operate between the two systems! Let us know how we can help and thanks again for leaving us this review! Pros: - The ability to customize so many of the features. - The ability to have both staff and student logins. - The ability to send both text and email reminders. - The ability to automate so much of the daily work. Cons: - The UI needs an update to look more modern and visually appealing. - The iOS application is thoroughly lacking. It is not iPhone X compatible. It does not in any way substitute for the online website. - The calendar sync is a little difficult to use. - The invoices feature is not a full account software, and integrating timetap with softwares such as Zoho is not available. - Needs a dedicated clock in feature. Overall: Timetap gave us the ability to use one software, as opposed to 3 or 4. It is automated, very thorough in its ability to keep records, and highly customizable. I don't have to worry that classes will go unbilled or unscheduled. Students are able to receive both feedback and updates. Reminders get sent out to clients. You can see if reminders were sent, received, and even opened. I would highly recommend the service. Thanks for the feedback, Ankush. I'd be happy to walk you through our clock-in/out feature. We're available for support or questions at support@timetap.com or book a call at help.timetap.com to have this feature enabled on your account. Pros: We use TimeTap in our Physical Therapy Practice. The software makes it easy to keep track of our patients' schedules and invoices, and allows patients to edit their own appointments and print invoices at home, which is HIPPA compliant. Cons: I do not always find the software intuitive. When I select a form to e-mail, I have to select it again from a drop down menu to send the correct form, for instance. Thanks for taking the time to leave a review here. I was able to see what you were saying about sending forms and it not default to the one you selected to "send" in the pop up window. I've put in a request to get that fixed and we'll get it resolved soon. If there are any other suggestions that you have, please feel free to reach out to us at support@timetap.com and we'd be happy to work them into our development! Cons: It is very hit and miss. If changes are made to a class that currently has people signed up for it, often times rather than make the change, it will just disappear off your calendar as if it were never there. If no changes are ever being made for customization its great! If things tend to change on the fly, It is not as reliable. Overall: We struggled to find a platform allowing us to do what timetap does, We love the system but just wish the small finite details such as the software correctly adjusting to changes being made day to day werent so buggy. Hi Michael, please reach out to our support team at support@timetap.com and a member of the team can review the activity with you. Thank you for taking the time to share your feedback. TimeTap Was Just What We Were Looking for! Pros: It is so great to block off times in my calendar that I am unavailable or away. I also like being able to see how my appointments stack up against the rest of the day-it's been helpful for time management around busy appointment times. TimeTap has also been easy to use for our volunteers, staff and clients-it's minimized a great deal of confusion for our team when booking appointments. Cons: The email reminders can get a bit repetitive, however that is a minor concern. They make sure I never forget about an appointment, so it's been more helpful than not! Overall: Our non-profit organization was looking for a better way to book client appointments for registrations and visits to our office. While researching different products, we discovered TimeTap. It's class feature allowed us to set the number of appointments available at one time, as well as the frequency of appointments. The buffer between booking and attending an appointment has also been a great benefit-it gives our staff time to finish up previous tasks and prepare for clients before they arrive. Hi Madi, thanks for the feedback. We're glad our software has been a great solution to streamline all the daily activity for your organization. Makes my job 100% easier! Cons: Some areas are a little tricky to figure out without TT support. Overall: Until we started using Time Tap, I was having to enter and maintain all clients appointments, cancelations, confirming and rescheduling. It took a huge amount of time that I could have used for other tasks. Elvis at TT has literally held our hands from day one. Start up was fast, and easy to use. Support is quick to answer your questions and walk you through step by step with on-line appointments. Elvis has always been very professional and knows the material. If there is a question he can't answer, he will converse with the TT Team and find the solution. Customer service follow-up is fantastic (very important to me). The other thing I love, is TT appointments can be synced with your current calendar, I use Google, so you don't have to stop using what you currently have. My customers said it is easy to use and they like making their own appointments. I highly recommend TT, it's like having another person in the office with me. And listen, if you decide to use TT for your business, ask for Elvis, he is great! Thank You, Kelly, for taking the time to leave this review ! It has been a pleasure working with you on getting you account setup. I'm glad to know that we're helping you manage your appointments and clients more efficiently. Overall GREAT, ease of use . . . not so much. Pros: TimeTap allows me to automate my scheduling process. My customers (candidates) can easily schedule a time that is convenient for them and all I have to do is send a link. Easy Peasy! Cons: If you're NOT a code writer, setting up is a pain in the arse. I don't know how to make it easier, that's why I'm NOT a software developer. Overall: I used TimeTrade in the past and close my account because their customer service was minimal to non-existent. I've had to ask for help with TimeTap several times and have been very satisfied with the response and support. To date, I'm very happy with the software and (more importantly) the service I've received. Hi Tony, thanks for taking the time to leave us a review. Please feel free to reach out to us at support@timetap.com if you have any other questions about your account. Pros: Easy to use on the front end (for possible clients) and back end (for staff). I've been using since it was checkappointments.com. Integrates very nicely into existing website. Cons: Unforunately, the graphical interface is a bit outdated, and feels a bit clunky when you are setting it up. Hi Amy, we'll be sure to update you with new design changes to the system. Many thanks for the review. Time tap has been a life saver! Great software! Pros: I don't have to work with clients individually - they can book their slot! However, I DO have back hand ability to book for them and that is great. I like having both possibilities! Cons: The app does not work at all... :( I always have issues. I wish that it would allow me to actually cancel or change lessons, it never works if I try to use it for anything other than viewing my calendar! Pros: I have the option to do what I want using this platform. I love how easy I can set up multiple locations, input services, accept payments. Cons: When using the mobile app, everytime I close the screen, can even come back one second later and I'll have to sign back in. The bank doesn't even close out that fast, lol. But I still love it. So glad to hear that TimeTap has made scheduling for your business "EZ"! We have made some updates to our iOS mobile app recently so please be sure to check that you are on the latest version of that. We have our Android update out in Beta right now so if you are an Android user please reach out to us at support@timetap.com to reqest an invite to the Beta platform. Comments: I am going on my third month using this product. All I can say is that I am kicking myself for waiting so long to switch over. I am saving about 1 to 1.5 hours a day after switching my calendar over. I used to get about 3-4 (calls, texts, emails) per day that needed a personal response from me, but now that my clients can handle their own appointments, I get about 3-4 (calls, texts, emails) per month. There was an initial learning curve for a few of my clients, but so far everyone is giving me good feedback. The main complaint from my clients is that the mobile landing page is a little clunky and not totally clear for everyone. I think they are working on improving the mobile app, but it really hasn't been a problem for most people. Since I have been using TimeTap, I have been working with a woman. She is and has been incredibly helpful and patient with me during the onboard process and with any questions or problems I have had. With certain issues she made video's of her screen while she walked me through the process of fixing the problem. This was really useful and thoughtful. Any problems or questions that have get addressed right away. Incredibly impressive customer support. So far I am more than happy with the service. Look forward to things getting easier for my clients and for a better mobile app. Thanks so much for taking the time to leave a review, Rusty! I really appreciate it. I'm glad we've wound up saving you time every day and that it's been a positive experience for you. Pros: I love how easy it is for folks to sign up for an interview. It has taken the headache and back-and-forth from trying to schedule something, to an easy "sign up here". I don't know how I ever got anything done before TimeTap! Cons: Customer Service/Help Desk. They take FOREVER to get back to me. I end up spending more time trying to figure it out on my own, and there have been several times where I try, but still cannot figure it out so I end up wasting my time. It's by far the most frustrating part of TimeTap. We're pleased to provide scheduling solution to streamline your interview process! Thanks for working with us for your taking the time to leave us a review. Pros: I like the ease of inputting appointments and that the calendar then syncs with my Google calendar. It's pretty easy to use. I also like the ability to confirm appointments with clients and staff via email. Cons: I don't like that I can't set up to do bulk emails without having to sign up with the company. I'd prefer for it to be a feature that I can enable myself. I also think it would be great to be able to block out times that aren't for appointments, but for lunch or tasks that I need to complete. Thanks so much for leaving us the review and I'm glad that it has been an easy system to use to input appointments and sync with your Google calendar. We do allow you to add Time Offs which would be a good way for you to block out time for lunch and other tasks. Give us a shout at our support email address (support@timetap.com) to learn more about how to do that. We do allow sending of bulk emails, but not sure what you mean by signing up with the company. I or someone on my team would be happy to look into this as bulk emailing is supported by TimeTap. Please let us know! Pros: I love the accessibility and the ability to see your whole schedule in front of you. The fact that it is available anywhere is amazing! Cons: Hard to understand at first but once I was able to get the hang of it, it became second nature. Probably a lot harder for newer users. Overall: A great way to keep in contact with all of my clients and to make sure I don't over book my schedule! Alex, thank you for taking the time to leave us a review! We're excited to hear you've enjoyed our services. Please let us know if we can help in any way. Pros: Customer Support has been phenomenal, responds very quickly when I need help and with concise steps! They have navigated me through the software and helped make changes at a moments notice. ! Ease of use for customers and getting more appointments booked. Cons: Just started using the Time Tap version, so not sure yet. On the Check Appointments, I would prefer that it defaults to cancelling an appointment within an hour of start time. I would also like if it defaulted to scheduling an appointment within 1 hour also. Thanks so much, Jody, for taking the time to leave this review! It's really been great to work with you and all of the Nationwide staff! Let us know if there's anything we can do to help. Pros: You can't beat the price for the features that you receive with TimeTap! It is also very intuitive and user-friendly to set up. Staff is friendly and available for any questions you may have as well. Cons: The only hiccup we have experienced is having to set up two different accounts because of security - one of our use cases had sensitive information that we did not want other users of the account to be able to see, so we ultimately had to split them off. Enhanced security/viewing roles would be great. For more information about the security options, send us a question at support@timetap.com. We'd be glad to hear more about your needs. Love this app, and use it to schedule my clients. Customer service is excellent. Pros: Flexibility, that it is customizable, that customer service is quick to respond, and always helpful, reasonable price, easy for clients to use, appointment reminders are helpful. Cons: I tend to find that the online site is easier to use on my phone than the iPhone app. Both are slow to load, however. Easy to use, very customizable, great customer support. Scheduling 1500+ customers a month. Pros: Ease of use, location filters, and the ability to set the exact schedules we need for our multiple locations and staff. Cons: Reporting. Having trouble creating a report that suits are needs, and gives us all the information we would like to see. The amount of variables we have in our system makes it tough for us to run reports and get all the information. 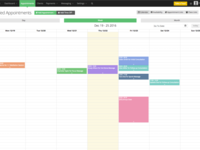 Overall: Condensing all of our scheduling tools into one platform. Thanks, Bryan, for taking the time to leave a review for us. Please reach out to support@timetap.com for assistance with report customizations. We'd be happy to help make sure you're gathering all the information you need about your appointment activity. Pros: I like the calendar view, and the ability to filter lists to see just about any scenario I need to see. Cons: I think the way parents fill it out might not be the most intuitive, because we often get their child's name where it should be parent, or not all fields filled out. I wish the calendar field would show status of child's lesson- completed, no show, etc. Overall: We are just working to maximize Time Tap for our needs. I do think we will get there. Marking each student as "completed" is time-consuming, so we are looking for ways to make it easier, or automatic. I think it gets better every month, overall. Sometimes the page seems a little scattered. I think the "look" of a page could be more user-friendly, with more color, more eye-catching fields to find and fill out, etc. Thanks for taking the time to leave us a review. We do have ways to automate marking an appointment as completed so please reach out to us at support@timetap.com and we can discuss more on that end. I'd love to hear more about your ideas for the look of the page too. Pros: Ease of use and sharing with clients. My clients are able to click the link and have the freedom to choose what works best for both of us. Cons: Some customizable features are difficult to find or don't yet exist. However, the people at TimeTap are very responsive to changes and requests. Overall: Scheduling is infinitely more effective and efficient saving me many back-and-forth emails. Thank you for taking the time to leave us this review! We're glad to hear that TimeTap has made scheduling more effective and efficient for your business. That's music to our ears! Please let us know if there is ever anything we can do to help! Excellent and seamless. I tried a number of scheduling tools and this is the easiest by far. Pros: The multiple appointment reminders and how easily appointments are to confirm with clients are key. It's also really easy to modify or cancel appointments and keep people in the loop. As a solo, my ability to keep my calendar up to date without having to go through multiple steps or screens is invaluable and TimeTap does that really smoothly. Cons: I think the only thing that I would like is to automate synchronizing my personal calendar with my Time Tap calendar so that when someone makes an appointment with me in TimeTap it automatically shows up in my iPhone or Google calendar as well. In truth, that might be a feature of the software already available that I just haven't found yet. So glad you're finding the software easy to use! Timetap has really helped our office! Pros: I love that Timetap automatically sends email and text reminders to our students to remind them of their meetings. Cons: I wish I could color code the appointments that are brought over from Outlook or Gmail to differentiate them from the ones added directly through Timetap. Thanks for taking the time to leave us a review. To color code the calendar based on synced appointments versus TimeTap appointments, refer to the left hand filter from the Appointments page. You can select a color based on Status (free or busy synced appointments, open, cancelled, etc.). Please contact support@timetap.com if you need assistance setting this up. Comments: The TimeTap team is putting something really awesome together here and I'm excited to watch the product grow overall. I have been using the system for about 4 months now and over the time I've been on it they've added a lot of great new features. It's cool to be using a system where it feels like the team behind it really cares about their userbase and understands their pain. Like I said, I started using this tool about 4 months ago and am continuously surprised by all the neat little odds and ends their team keeps adding. I only expect it to get better! Thanks, Elvira! Appreciate you taking the time to provide the valuable feedback on some of the pros and cons of using TimeTap. We're excited to bring you more functionality in the months and years to come! TimeTap is an integral part of my business and I can't imagine working without it! Overall: It saves a ton of time. I have nothing but good things to say about TimeTap! We're thrilled TimeTap has been a time saver for your team. We appreciate your feedback! Pros: That is can be individualized to our unique needs. We love the confirmation of appointment email the clients receive. Cons: It is a little challenging to set up schedules at first. Our staff all have unique schedules that can vary daily, which made set up a little complicated. Once we got the hang of it was easy to overcome. Overall: We really appreciate the help of our specialist, Lucy, who understood our functions and was able to set up Time Tap to meet our unique needs. She was able to provide exceptional training and support to our staff. She responded to our questions and challenges timely. Recommendations to other buyers: Take the 30 day free trial and see if it will work for your needs. We are using the product in two different departments at this time. It is great. Thanks so much for taking the time to leave this review for us! I know your account had some serious set up involved, but I'm glad once we got it rolling it is making it easier for everyone. That's one of the best things about having onboarding specialists to walk you through everything. Best Free Booking System, by far. Comments: As the IT support for the Adelaide University Dental Student Society, I needed a way for students to be able to freely book in class sessions, through the society's website. TimeTap provides the perfect FREE service to do this. 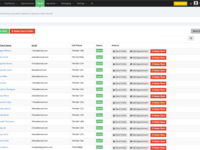 TimeTap hosts everything on a miniwebsite which is created for each user, so set up takes place within seconds. TimeTap also comes with a customised HTML code, making integration to any website simple; so if you want people to stay on your website whilst booking - they can. The system itself is well organised, and easy to use; I seldom had to refer to the FAQ, and could figure out what I wanted by simply exploring the intuitively laid out settings. We now use TimeTap as a method for students to book in sessions with the Adelaide Dental Hospital Laboratory, where lab technicians host a class of sorts, teaching students about the fabrication process of dentures. Needless to say, we strongly recommend TimeTap for any booking needs. We currently use the Free plan, which allows one class; but TimeTap offers a variety of plans to meet your needs. Wow! Thanks so much for taking time out of your day to leave us this review. It means a lot. I'm glad that you've seen such a positive impact from using TimeTap with your organization. Please keep us in the loop if you have any questions or concerns and need help getting things set up a certain way. Comments: While I know I need appointments to grow my business, I always dreaded getting the phone calls and emails requesting appointments because it took so much work to ultimately get anything scheduled. This obviously hampered my ability to actually increase my bottom line, but what can I say? I am a massage therapist...not someone who enjoys being on the phone with folks even if they are offering me money. TimeTap has been awesome because I no longer have to take phone calls in order to get appointments booked. Plus, I don't even have to send any of the email reminders out anymore which is a huge time save (not to mention dropping my no show rate to just about zilch). The team over there has been easy to work with and really knows what their talking about as far as giving advice with how best to set up your scheduling system. Shortly after signing up for their Plus platform, Lucy from their support team got in touch with me and I scheduled a call with her. Within half an hour my account was set up and working magically. While there was a bit of a learning curve, I've gotten the hang of it now and am just loving how seamlessly the booking portal works with my practice. Appreciate you leaving us a review, Julian! It's been great to help you get set up on TimeTap and I'm glad to know we're helping to grow your bottom line. Let us know if there's anything else we can help out with. I LIKE TIMETAP. IT ASSISTS MY BASIC NEEDS TO SCHEDULE APPOINTMENTS. Pros: HAS THE ABILITY TO BLOCK OFF SPECIFIC TIME FRAME. HAS THE ABILITY TO RESCHEDULE. WHEN SCHEDULING APPOINTMENT, IN THE CONFIRMATION PAGE, THE DIALOG BOX IS VERY HELPFUL TO SYNC TO OUR OTHER CALENDER WHERE WE CAN WRITE NOTES TO TELL US A LITTLE BIT MORE ABOUT A CLIENT. Cons: IT TAKES A WHILE TO LOAD, AND IT IS HARD TO GO BACK AND FORTH FROM PAGES BECAUSE IT'S VERY SLOW. I HAVE TO TELL A CLIENT THAT MY SOFTWARE IS RUNNING A BIT SLOW, BEFORE I CAN FINALIZE AN APPOINTMENT. 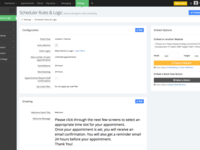 Overall: BEING ABLE TO LET CLIENTS SCHEDULE THEIR OWN APPOINTMENTS ONLINE. Thanks for taking the time to leave us this review. I apologize that TimeTap has been running slow for you. We just had a major database upgrade this weekend which should result in noticeable performance enhancements. If things are continuing to run slowly for you, please check your internet connection and then reach out to us at support@timetap.com to let us know what specific screens are operating slowly. Comments: My colleagues and I used TimeTap for the first time during a 5 day conference at the end of December. It was perfect for scheduling "mentor appointments" for our clients (mostly college students from North America) with our staff- justice practitioners from around the world. All in all we had 40 staff in the system, and it was so easy to set up their bios, select their availability, and make adjustments to their schedules on site. It was really important to us that our scheduling system be easily accessible on a phone, and TimeTap was extremely mobile friendly. This kept us from having long lines during our sign-up process, which was awesome. As many reviewers have mentioned, I was especially blown away by TimeTap's customer service. I almost always got responses to my questions within an hour. TimeTap also has detailed and clear help documents that I could look through whenever I needed to better understand a feature. All in all, I would definitely recommend TimeTap, even for short term use like in the case of our conference. It was simple to learn, easy to use, and the customer service was amazing. Thanks Katye! We were so happy to be able to work with Urbana 15 Poverty Track during your conference in December and glad that using TimeTap made the process easier. We hope to get to work with you on other scheduling challenges you may face in the future! 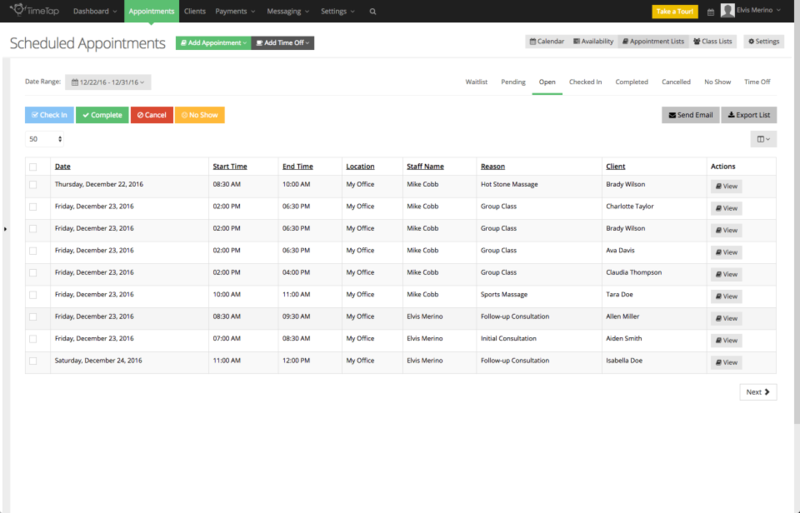 Pros: Lots of customization options and a reasonably robust/flexible scheduling system. Includes many useful features, not a lot of fluff. Cons: Setting up staff availability time frames can be unnecessarily tedious. Mobile support is definitely lacking. Overall: This software definitely helps streamline my process of scheduling clients, setting/modifying availability of my staff, and tracking individual sessions, classes, and seminars all in the same interface. Thanks so much for taking the time to leave us this review and provide us with the solid feedback on staff availability and mobile support. Our Android app launched into beta earlier this month so please reach out to us at support@timetap.com if you've not been invited to that. We also just released the ability to see and add staff availability through the Appointments > Calendar screen this past weekend in 3.38.0. This should help with manipulating available times from the browser based app. Please reach out to us with any questions on those! We use TimeTap both to schedule onsite support as well as scheduling a computer lab. Pros: Very flexible, very customizable, and syncs both ways with Google and Office 365 calendars. Support was very hands on in helping us get started. Super chat support who take the time to research your TimeTap instance to help fix your particular issue and not just send you a link to help article. Cons: The application has almost too much functionality for our small shop! But since the chat support is great, we can live with it! Thanks so much for taking the time to leave us this great review! 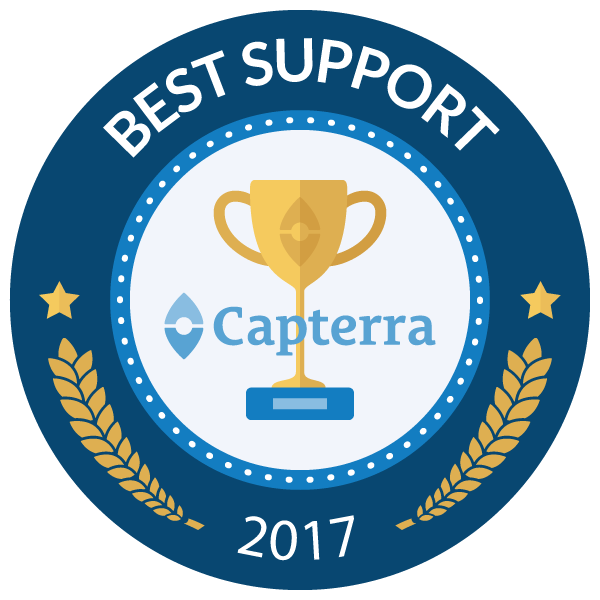 I'm so glad that using TimeTap has been a benefit to you and your team and that you've had such success working with our support staff. If there's ever anything we can do to make using TimeTap easier or more effective for you, please do let us know!